Home / News / Vote for our Sam! Vote for our very own Sam Taylor – St Nicks Waste & Recycling Manager – in the Hot 100, which celebrates individual achievement in the waste and resources industry. We think Sam is a real winner who shows true dedication and determination in leading our zero emissions recycling scheme and promoting zero waste. 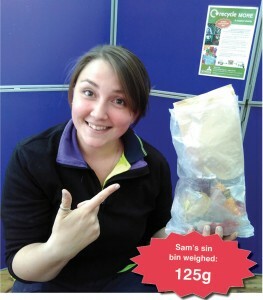 She’s started the Zero Waste York Facebook group and writes our popular blog posts on the issues of waste and recycling. Please cast your vote here. Thank you!